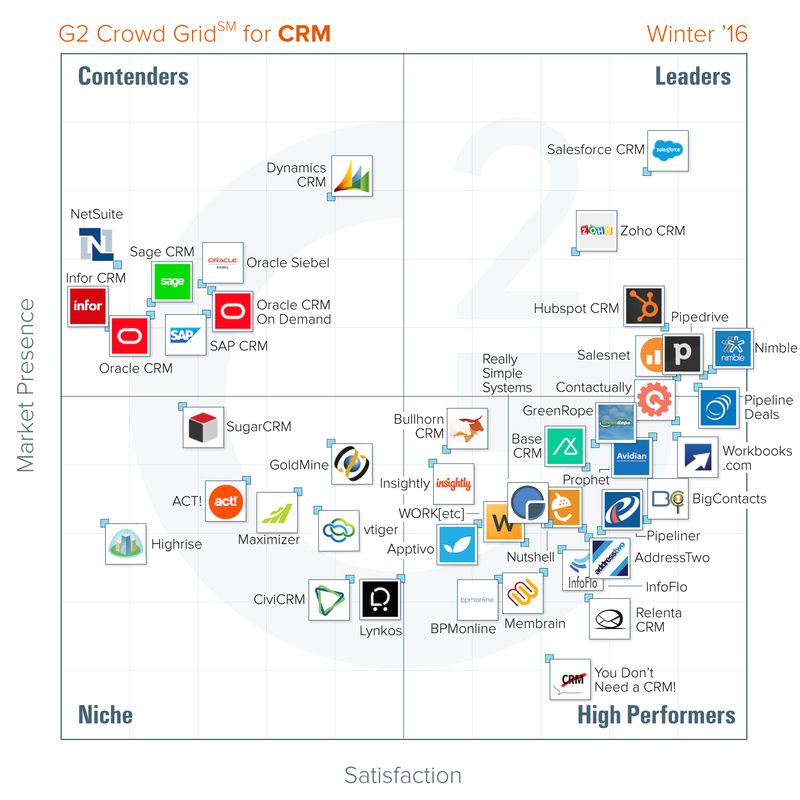 G2 Crowd, one of the leading review platforms for business software, recently released their Winter 2016 CRM report, based on reviews from thousands of product users. HubSpot CRM is recognized as a leading CRM solution with the second-highest overall score (tied) in a very crowded field. Our placement in G2 Crowd's evaluation was based on over 1,000 reviews from CRM users, inclduing 58 users of HubSpot CRM, who praised its intuitive interface, tight integration with the HubSpot marketing platform, and full-funnel tracking for a lead's entire journey through marketing and sales interactions. We launched our free CRM in 2014, and we're thrilled by the adoption and support that we've received. We set out to create a CRM that would eliminate manual work and help small and midsize teams actually sell and our team is working every day to make HubSpot CRM even better at that. We were honored that 100% of G2 Crowd Reviewers agreed that HubSpot CRM is heading in the right direction. You can download the full report from G2 Crowd, or click here for more information about HubSpot's free (yes, 100% free) CRM.